84 (Coventry Airport) Squadron Air Training Corps: Im An Air Cadet Get Me Out Of Here! 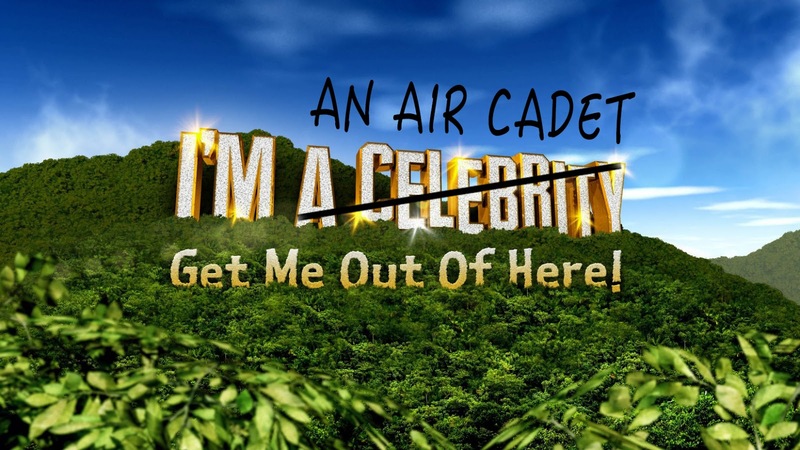 Cadets from 84 (Coventry Airport) and 480 (Studley) Squadrons recently joined forces to attend the ultimate challenge weekend aptly entitled "Im an Air Cadet Get Me Out of Here". The weekend was packed full of activities from weapons training, survival skills lessons, gruesome challenges all rounded off with a shooting competition. The idea for the weekend was formulated by Commanding Officers Flying Officer Rosie Robinson and Fight Lieutenant Mark Hulme from 84 and 480 squadrons. They wanted to create a survivals skills weekend where cadets could be taught basic techniques for survival followed by a series of challenges to test their new skills. This was combined with a 75th Anniversary Challenge Shoot and for 480 squadron the weekend also coincided with their Air Experience Flying allocation meaning three lucky cadets were taken to RAF Cosford to get up in the skies. After arriving at Nesscliff Training Camp late on the Friday evening, cadets were given an initial briefing and set to pack their kit for the following day. The weather was due to be wet which was perfect for the planned activities. During the Saturday morning a mix of lessons were taught including construction of a parachute teepee and fire lighting. Four cadets from 84 Squadron were taken through initial weapons training on the No 8 rifle ready to be tested later that evening. All 21 cadets then met back up in the wooded area to cook up their issued ration pack lunches. After a cooked lunch and hot drink cadets were then split into four groups and set off on a rotation of challenges with a total of 400 points in tact. The winners were the team with the most amount of points remaining at the end of the afternoon. So, in rotation cadets had to build a para-teepee; get through the poisonous spiders web to devour a delicious nutritious meal of bugs and worms; build a fire to cook a basic meal on; and crawl through the ultimate wet and muddy obstacle course collecting items along the route. Cadets were certainly very messy by the end after digging through bowls of cold jelly, cooked spaghetti, rice and oats as well as the mud and leaves from the wood floor. Sunday dawned bright and sunny, not a cloud in the sky which was perfect for the three cadets selected to go flying. The remaining cadets took part in a shooting competition where they were paired up and given 75 rounds to get as many points as possible. The winning pair were Cadet Sergeant Phoebe Jenner from 84 Squadron and Cadet Jack Dilks from 480 Squadron. All in all, the cadets had a fantastic weekend coming away with new skills, friends and a whole lot of wet and muddy kit. For more photos – check out 84 (Coventry Airport) Squadron's Facebook page.